The Congregation was founded exclusively for the upliftment and the liberation of the Poor. The Charism of the Congregation is "Upliftment of the Poor" and the Motto is "Service in Charity and Poverty". The prime focus of our apostolate is the poor, marginalized and downtrodden in the society. The members of the community lead a very simple life and dedicate their human and material resources for the integral growth and the well being of the poor with a special focus on women, children and destitute. Dinasevanasabha is a Catholic Association for upliftment of the poor has been Registered under the Societies Registration Act XX1 of 1860 S. No. 43 of 1970 and also is a society registered under Section 12 A of Income – Tax Act, 1961 0n 15th March, 1978. 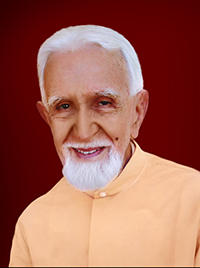 Dinasevanasabha (DSS) started as a pious union in the diocese of Calicut with the approval and the blessing of the then Bishop, late Rt. Rev. Dr. Aldo Maria Patroni S.J., it was raised to the status of a diocesan Congregation on 21st September 1983 by His Excellency. Rt. Rev. 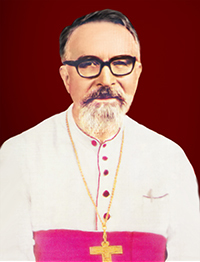 Dr. Maxwell Noronha, the then Bishop of Calicut. It was raised to the status of Pontifical Right on 2nd February 2003. The Charism of our Congregation is service of the poor. The specific aim of the Congregation is to continue the Evangelical Mission of Christ by rendering services, both material and spiritual, to the poor, especially to those living in remote rural areas. “Service in Charity and Poverty” constitute the pillars of the Congregation. The identity of the congregation can be expressed in Mother Petra's words as the one who is called to be with the poor, for the poor and like the poor. Keeping this unique mission, the members make an additional promise the service of the poor as our fourth vow. The emblem depicts well with the spirit of our Congregation. The letters DSS is the abbreviation of the Congregation Dinasevanasabha and S C P (Service in Charity and Poverty) constitutes the pillars of the Congregation and summarize the nature of our Charism. Folded hands and Cross stands for constant prayer from where we get energy to accept the daily cross that comes to our life when we live our Charism. Through constant prayer and suffering we aim at self sacrifice. No crown without cross. Diya, stands for the mother earth. Mother Petra as an extra ordinary woman with clear vision and strong will came down from Kurusumala, the Tabore of her life. She travelled far and wide in Kerala, visited every nook and corner of the remote villages. She was deeply moved on the situations of the poor and she desired to become a Good Samaritan in their life. Even with the inner conflicts, confusion and struggles she continued her journey in search of a suitable soil to sow the seed of her mission. Many Bishop extended cordial welcome to begin her work in their dioceses. Mean while Mother Petra visited Bishop Aldo Maria Patroni, the Bishop of the Diocese of Calicut who directed her to Fr. Zucol, an Italian Jesuit Missionary working at Chirakal mission. There she came across the misery of the poor and the marginalized. Here she conceived the idea of social apostolate for the upliftment and the integral liberation of the poor and the downtrodden. To serve the less privileged with the compassionate love of Christ. Dignify the marginalized and downtrodden and promote the equality and Justice to create a common brotherhood as children of God. Be a prophet for the voiceless for the proclamation of the Good News. We share the God experience of our Foundress Mother Petra which consists of seeking the will of God in all circumstances, Contemplative spirituality developed from the Word of God, spiritual commitment with the Lord in the Holy Eucharist and contemplation of the holy face of Jesus on the cross which enables the Dinadasis to see the disfigured face of Christ in the poor whom we serve, accept the sufferings and lead a sacrificial life, complete dependency on God and trusting in the Providential care of God, immense devotion and closeness to Jesus in the Eucharist, simplicity in life, hard work, a life of poverty, imitating Jesus, the Servant (one who washed the feet of His Disciples) through our service, serve the poor with compassionate love, become one among them and abide by the teachings of the Church. The spirit of St. Francis Assisi (simple life, hard work, severe poverty, deep prayer life and Eucharistic centered life) and the missionary zeal of St. Angela Merici ie, the upliftment of the poor, dedicated service for the Church and the needy without considering the caste, creed and religion, Dinasevanasabha took its form as a sprouting seed in the Merician family. During the last four decades, the Congregation has grown and developed in every direction of its Charism, Spirituality, Apostolic services, Formation and Administration. In 1999 the Congregation was divided into three regions and on 1st June 2007 the regions were transformed into three provinces and one vice province. Today, the Congregation has 630 members. We extend our services in 91 convents in 47 Dioceses belonging to the Latin, Syro Malabar and Syro Malankara Rites of the Catholic Church spread out in India and in Germany. When we look back to the life of the Congregation, we can only thank God for His marvelous works which was purely for upliftment of the poor and needy performed through the members in various parts of the country.